NEW HAVEN, Conn., Sept. 15, 2017 /PRNewswire/ -- Biohaven Pharmaceutical Holding Company Ltd. (NYSE: BHVN), a clinical-stage biopharmaceutical company with a portfolio of innovative, late-stage product candidates targeting neurological diseases, announced today its clinical trial collaboration with the Alzheimer's Disease Cooperative Study (ADCS). The ADCS is a leading Alzheimer's disease (AD) clinical trials research consortium that receives major support from the U.S. National Institute on Aging (NIA), a part of the US National Institutes of Health. The ADCS was developed to promote the discovery, development, and testing of new drugs for the treatment of AD. The ADCS includes a coordinating center housed at the University of California San Diego School of Medicine and a robust network of clinical research sites located at major academic medical centers and private clinics specializing in AD care and research throughout the United States and Canada. The ADCS has successfully completed the largest number of clinical trials in the AD field while also developing some of the important instruments for use within clinical trials. The ADCS has been undertaking the development efforts for this study over the last six months in partnership with Biohaven. Alzheimer's disease is a progressive, fatal neurodegenerative dementia that accounts for up to 65 percent of dementias. According to the Alzheimer's Association, there were approximately 5.4 million Americans with AD in 2016, and that number is expected to escalate rapidly in the coming years as the population ages. Mounting observations in multiple preclinical models and post-mortem human AD studies suggest that glutamate dysfunction plays a role in the pathophysiology of the disease and that the active metabolite of trigriluzole may protect from AD-related pathology and cognitive dysfunction. Vlad Coric, M.D., CEO at Biohaven, commented, "We are excited to be working with the ADCS to evaluate trigriluzole in patients with AD and attempt to alleviate suffering from this devastating disease. We will continue to apply our innovative neuroscience expertise along with the leading external partners to attempt to help patients who currently suffer without safe and effective treatments." Trigriluzole is a third-generation prodrug and new chemical entity that modulates glutamate, the most abundant excitatory neurotransmitter in the human body. Agents that modulate glutamate neurotransmission may have therapeutic potential in multiple diseases that involve glutamate dysfunction. As part of this collaboration, Biohaven will fund a randomized, double-blind, placebo-controlled, Phase 2 clinical trial to evaluate the efficacy and safety of trigriluzole in patients with mild-to-moderate AD. 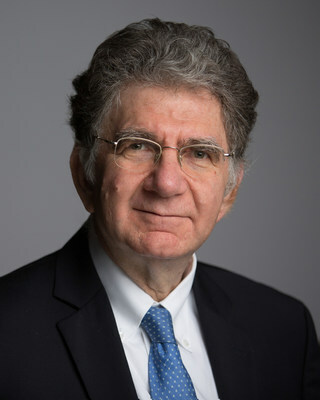 Howard Feldman, MD, FRCP, director of the ADCS and professor of neurosciences at UC San Diego School of Medicine added, "We are excited to be developing an innovative clinical trial with Biohaven with a trial design that will allow us to use incoming trial data to inform our progress in advancing this research most efficiently. The preclinical evidence for the active metabolite of trigriluzole to modulate glutamate and confer neuroprotective effects in AD patients appears to be compelling, and the new formulation of trigriluzole may improve its pharmacological properties and potential for efficacy in AD." The Alzheimer's Disease Cooperative Study (ADCS) was formed in 1991 as a cooperative agreement between the National Institute on Aging (NIA U19 grant AG010483) at NIH and the University of California San Diego School of Medicine. The ADCS is a major initiative for Alzheimer's disease (AD) clinical studies in the federal government, addressing treatments for both cognitive and behavioral symptoms. The ADCS is part of the NIA Division of Neuroscience's effort to facilitate the discovery, development and testing of new drugs for the treatment of AD and is part of the Alzheimer's Disease Prevention Initiative as well. The ADCS has initiated more than 30 research studies with the majority of studies carried out at 20 or more AD research centers. A list of ADCS clinical sites can be found at: https://www.adcs.org/clinical-sites/. The ADCS is part of a larger AD research and treatment effort at UC San Diego, which includes the Shiley-Marcos Alzheimer's Disease Research Center. Studies of AD and other neurodegenerative disorders at UC San Diego are part of the clinical and bench strength of the University of California system. Biohaven is a clinical-stage biopharmaceutical company with a portfolio of innovative, late-stage product candidates targeting neurological diseases, including rare disorders. Biohaven has combined internal development and research with intellectual property licensed from companies and institutions including Bristol-Myers Squibb Company, AstraZeneca AB, Yale University, Catalent, Rutgers, ALS Biopharma LLC, and Massachusetts General Hospital. Currently, Biohaven's lead development programs include multiple compounds across its CGRP receptor antagonist and glutamate modulation platforms. The company's common shares are listed on the New York Stock Exchange and traded under the ticker symbol BHVN. More information about Biohaven is available at www.biohavenpharma.com. This news release includes forward-looking statements within the meaning of the Private Securities Litigation Reform Act of 1995. These forward-looking statements involve substantial risks and uncertainties, including statements that are based on the current expectations and assumptions of the Company's management. All statements, other than statements of historical facts, included in this press release, including statements regarding the potential outcomes of its contemplated Phase 2 clinical trial in patients with AD, the role of glutamate dysfunction in AD, the size and potential market for trigriluzole, the potential benefits of the new formulation of trigriluzole and the future success of the Company's collaboration with ADCS, are forward-looking statements. The use of certain words, including the "believe" and "will" and similar expressions are intended to identify forward-looking statements. The Company may not actually achieve the plans and objectives disclosed in the forward-looking statements and you should not place undue reliance on the Company's forward-looking statements. Various important factors could cause actual results or events to differ materially from those that may be expressed or implied by our forward-looking statements, including uncertainties relating to the future clinical success of trigriluzole. Additional important factors to be considered in connection with forward-looking statements are described in the "Risk Factors" section of the Company's Quarterly Report on Form 10-Q filed with the Securities and Exchange Commission on August 14, 2017. The forward-looking statements are made as of this date and the Company does not undertake any obligation to update any forward-looking statements, whether as a result of new information, future events or otherwise, except as required by law.